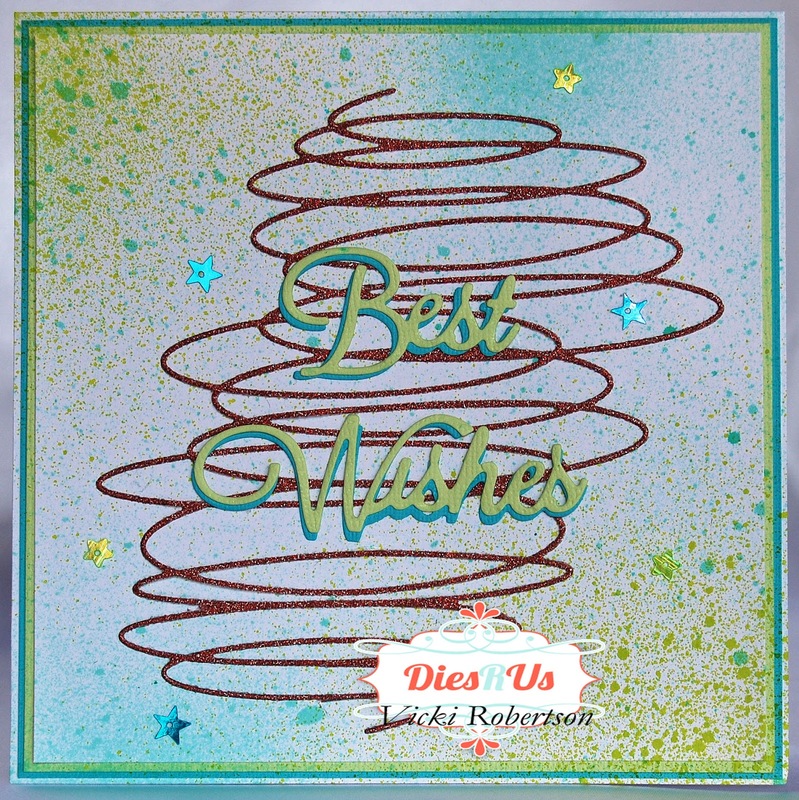 Dies R Us: Whimsical "Best Wishes"! Vicki here sharing some weekend inspiration with you. 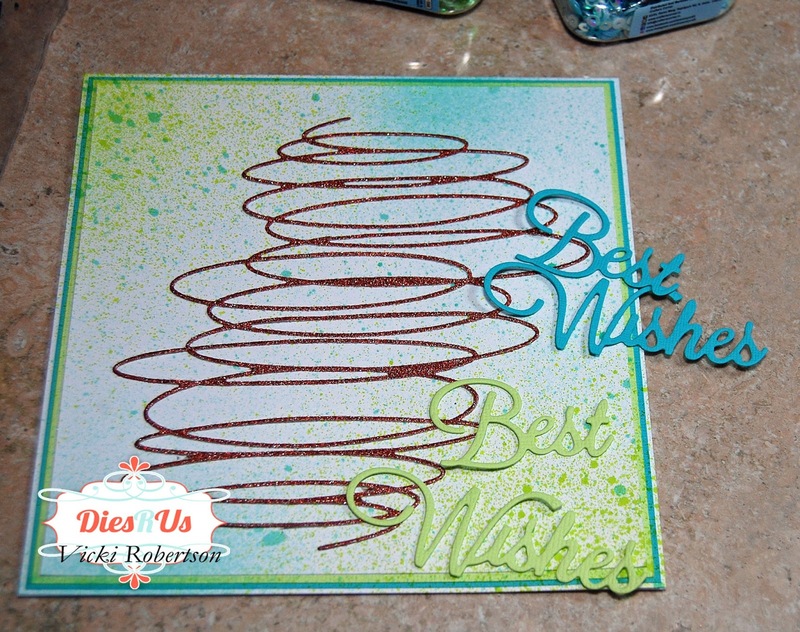 Today I have a fun, and basically simple card made entirely of cardstock. 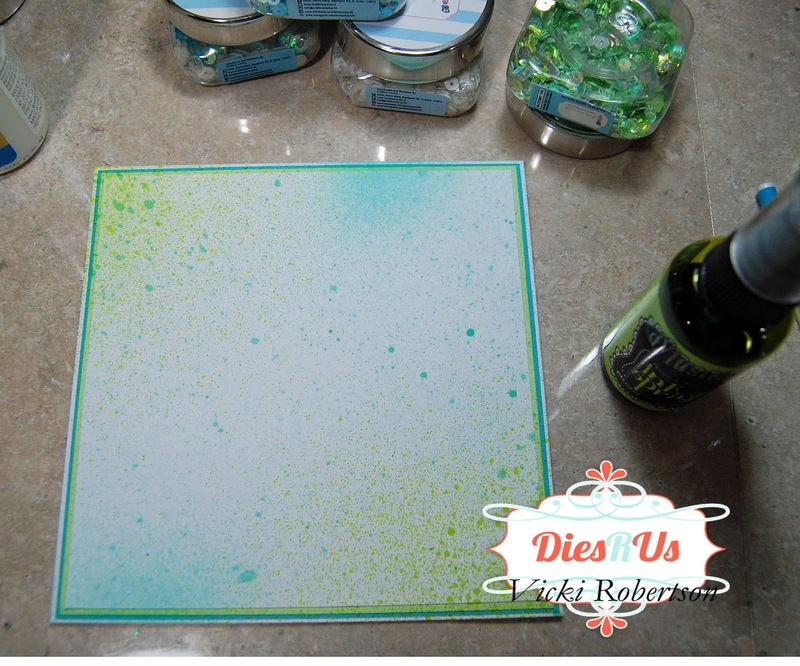 The 6 x 6 card base has three additional layers in turquoise, green and white. I wanted to create a background that matched the cardstock layers so I pulled out two mist colors and lightly sprayed the white cardstock. 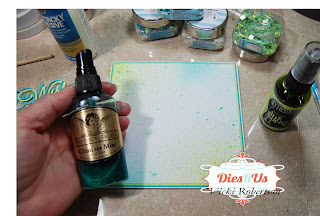 The Tattered Angels Seafoam and Dylusions Fresh Lime were a perfect match. Next, I added a background design using the Poppystamps Background Scribble. 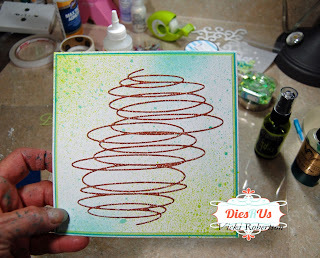 The "scribble" is cut from bronze glitter paper. This is such an amazing die cut! It reminds me of a swirling vortex. 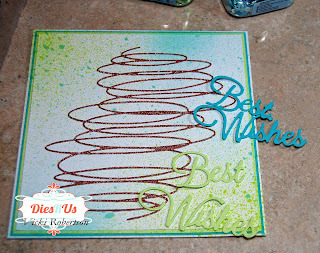 I cut the Tutti Designs "Best Wishes" from both colors of cardstock and layered one over the other for a shadow effect. 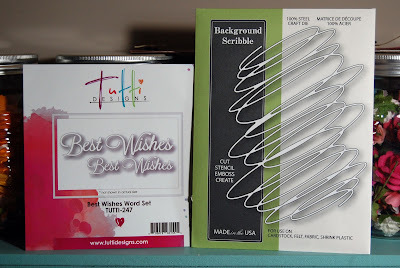 The final embellishments on the card are these awesome sequins that I recently won from Crafter's Corner. I was impressed with how many different shapes and designs are in the jars! 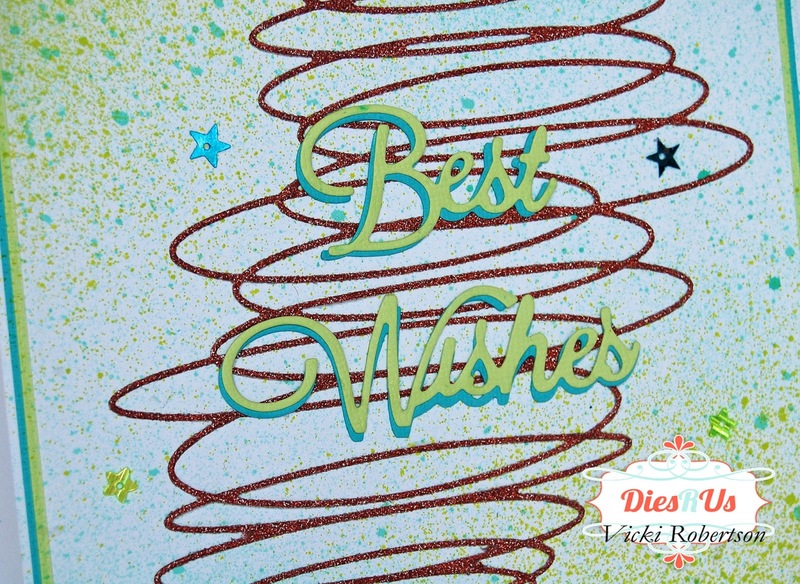 I love the fun, whimsical feel this card gives me! 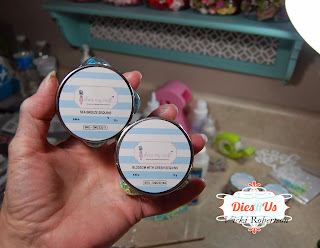 I used the die cuts shown below...both are available in the Dies R Us Store. 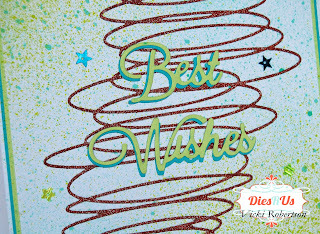 Thanks for stopping by the DRUS Blog...I hope you are inspired to use die cuts on all your projects! 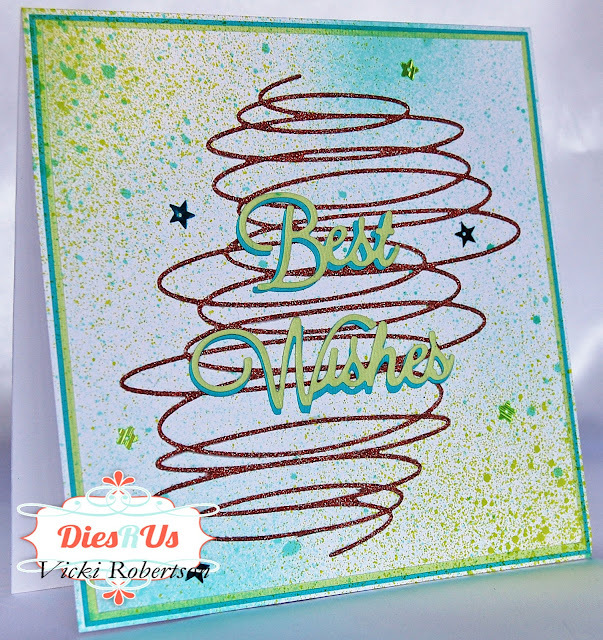 Such a fun design using that scribble die! Great job on the background too! Awesome ... thanks for all the tips & tricks! I must say ... that is one die I wouldn't have thought to add to my wishlist but I love the outcome! Thanks for inspiration! 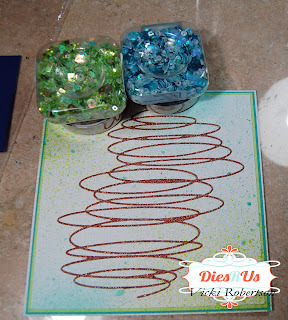 Thanks, I love this scribble die! It's so fun! I would certainly echo the thoughts of Darlene, above, about that Poppystamps Background Scribble Die. It truly made a beautiful card, but the thing looks like a nightmare to cut and then try to glue down to a surface. Is there anything you can say to change my mind, or hints you could give us about how to use it? 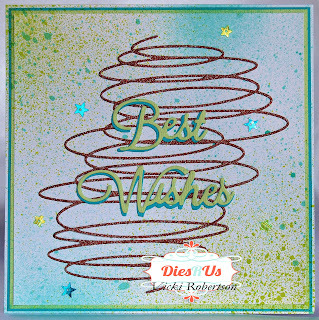 Again, your card is lovely, and I especially like your use of the sprays. Thanking you in advance. Thank you! Lena's suggestion is a great one. I have used my xyron and glue pen on different occasions. 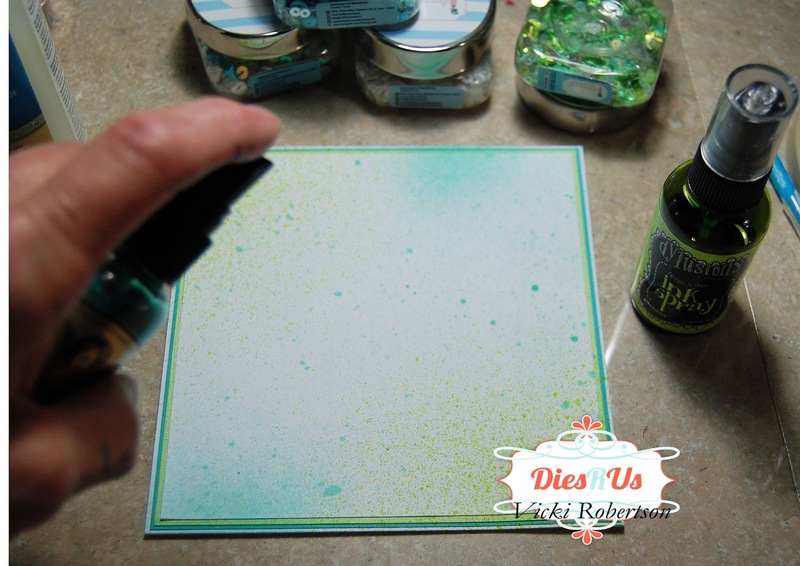 As far as cutting the die, I use Ultimate Crafts quick release paper. Perfect for delicate and intricate dies. You could also try wax paper. What a beautiful background! That scribble die is now on my wish list. Love the colours you used for this fun card. 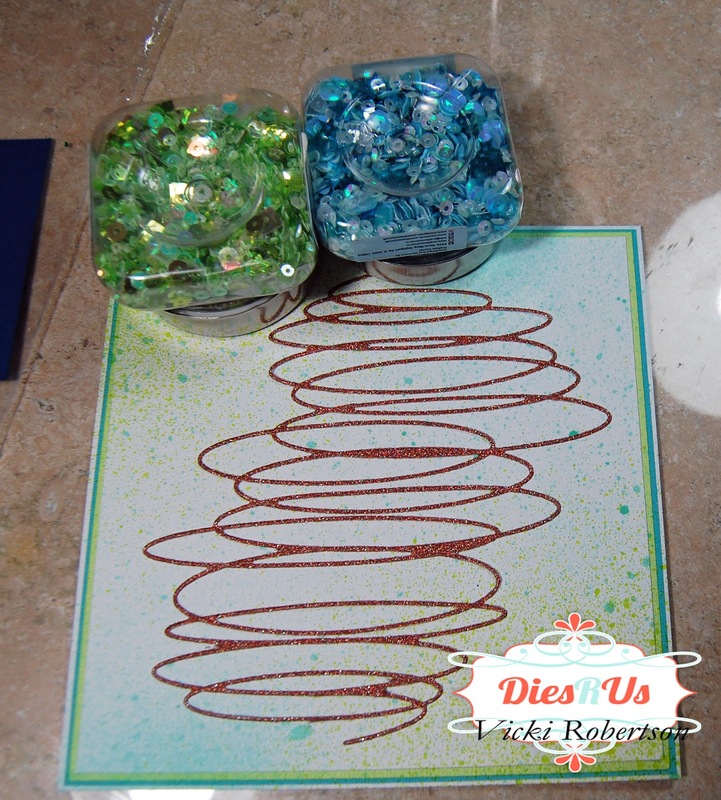 oh that scribble die is just too cool! it works so well with all kinds of pretty backgrounds. I am putting this one on my wish list!